Away from the bright lights and manicured fields, there's another side of soccer. 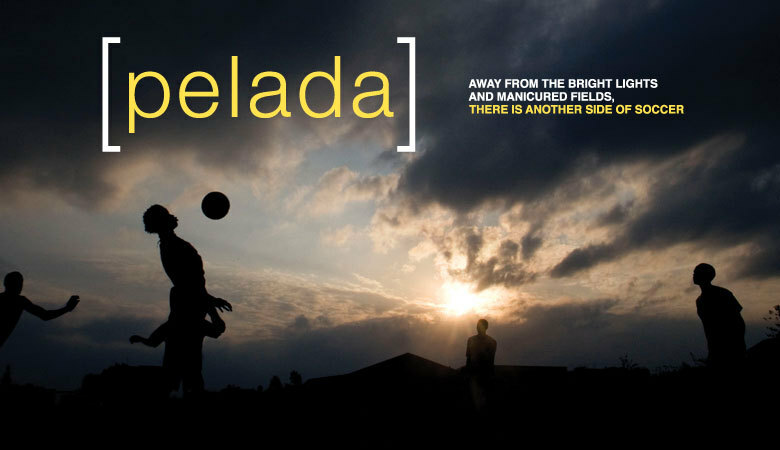 From prisoners in Bolivia to moonshine brewers in Kenya, from freestylers in China to women who play in hijab in Iran, Pelada is the story of the people who play. **This copy is licensed for Private Home Use Only. If you are purchasing for a Public Library or University, please see the Institutional/Educational copies available for purchase. Host your own community screening and/or raise funds for your club soccer team or local non profit. Purchase the Community Screening Kit to obtain the proper licensing to publicly screen Pelada. The kit includes 1 DVD with a one time public screening license plus 5 additional DVDs with a total resale value of $100. 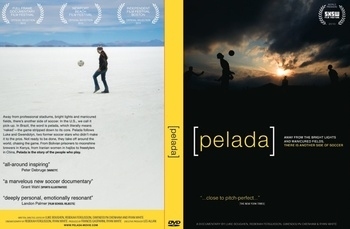 Bundle the screening kit with a multi-pack of Pelada DVDs available in the store and sell additional DVDs for $20.00 each to raise funds. Ask for a requested donation or ticket admission at the door to raise additional funds. *Note these DVDs are not licensed for use in universities, schools, or public libraries. For all Educational sales please see Educational/Institutional copies available in the store.